Nothing makes us happier than knowing we’re truly making a difference. So when we need a pick-me-up, we like to come here to read a review or two. I see you have some new classes coming up. Just wanted to let you know how pleased I am with the results. Took Hunter to the Folk School today for a walk. Let him do his sniffing, etc. on the way out; “nice walk” back. He did so well. Still use a lot of our training. Targeting works so well if he gets wrapped around something, especially a briar. Of course “leave it” is a constant with him. I have taken classes from CNC for a number of years. My first class was 3 years ago with my Standard Poodle, Bailey, she was a puppy and we took the Basic Good Manners Class. Lisa and Brad taught the class and Bailey and I gained a lot from it. At this point, I should say that while you learn a lot in class, it finally comes down to the “parent’ to do the training at home. CNC can tell/show you what to do but after that it is up to you to follow-up. I also took an Agility Class with Bailey which Lisa taught. Bailey and I both had a great time. We have since set up an agility course at our home. Recently, we adopted another Standard Poodle puppy and Callie and I took the Basic Obedience class with Jim Ross and Kay Mizell. Before we started the class, we had private lessons at our home with Jim, (which I highly recommend whether with Jim or one of the other trainers.) He worked with Callie (puppy) but some days he worked with both Bailey and Callie, mostly working with Bailey to stay when visitors come to the door. He is an exceptional trainer, easy to talk to and relate to and he always has an answer to a problem with the dog. I highly recommend CNC, the classes are a wonderful asset and the private lessons at your home are invaluable. Tiffany did a wonderful job helping Milo to get over his separation anxiety! We are up to 4 hours now after only a couple of months (note, not all dogs will have training that only lasts 2 months). Tiffany was always available via emails and texts even when she had family issues happening during the training. She had great advice both for Milo, and my other two dogs! I highly recommend Tiffany and Cold Nose College. And you don’t have to live in Florida! I live in Georgia, and all was done via emails, texts, and Zoom. “We were introduced to Lisa by Malena DeMartini, a separation anxiety expert. Malena analyzed our situation and thought Lisa was the best fit for us, and she was right. We worked with Lisa for two months, and we enjoyed every session. Lisa guided us step by step through the complete process. She truly cared about our dog, Aspen, and how we, as a family, were doing, and what our expectations were. She was clear in her directions, always taking all the necessary time to make sure Aspen was doing well. Her program was tailored to our and Aspen needs, and she modified as needed. Lisa was there all the way and we really miss our Saturday AM sessions. It was a pleasure to work with her, regardless of the distance as we live in Aurora, CO. It never felt we were not in touch. We worked with Lisa for two months because her help and support was so helpful, we improved so much that we felt that if we continued working with her, we really could make Aspen happier for the long run. Aspen now is a happy big (60 pounds) 10 month old puppy. We would not hesitate to work with Lisa again and we are really looking forward to meeting her in person some time. She is just “pawesome”. My husband and I adopted our Great Dane, Bentley, from a local rescue. Shortly after bringing him home we discovered he had a tough case of separation anxiety when we left him home alone. We reached out to separation anxiety specialist, Malena DeMartini, who referred us to Lisa and we have been so blessed because of it. First of all, Lisa really cares about you, your family and, of course, your dog. We felt so supported by her on a daily bases, she always cheered us on, answered our questions and was available whenever we needed her. Each morning I looked forward to hearing her feedback about Bentley’s progress the day before, it was a joy. 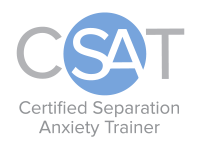 The treatment of separation anxiety is not easy, it takes commitment and dedication on the owner’s part, so having someone like Lisa who has experience treating it and has proven success stories is vital to success. Bentley is another success story. Now when we leave him alone he picks a spot (usually the couch) to lie down and rest while he waits for us to return, no unbearable barking, howling or crying. The peace of mind we have knowing that Bentley is relaxed when we are away is invaluable. We cannot express enough gratitude for the help she gave us and I’m sure Bentley feels the same way. It was a wonderful workshop. My animals and I will benefit for the rest of our lives. Many wonderful people there. I can’t believe how much I really learned. Wish I could do last week all over again. “Cedar has recently completed 22 miles with Dave on the Appalachian Trail, passing people and dogs, as well as allowing other dogs to hike past. We are still using the methods we learned from our time at Cold Nose College. Cedar has really made some improvements. Our time with you was a great investment for Cedar & our peace of mind. Thanks for your help! We want you and your dog to be our next happy clients! Contact us today!